Her first book is at the library and waiting for me to check it out. I have heard nothing, but great things about Oliver. I am not that sure why it has taken me this LONG to finally read her. It does sound like that Oliver did not let you down in the sequel book of the serious. I am glad you liked it. 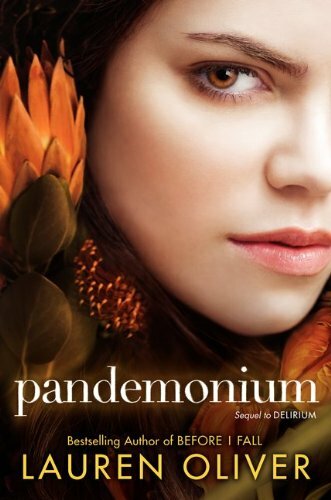 I also found myself wishing the atmosphere present in Delirium would be the same in Pandemonium. However, I really liked how Lauren Oliver put Lena in her situation. It made her grow as a character. I LOVED Delirium but I'll try to push this one off as long as I can so the wait for Requiem isn't so bad.